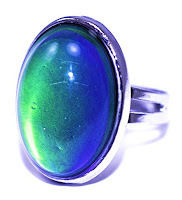 There are no shortage of blog posts dedicated to the fads of the 60's and 70's; tie-dye, pet rocks, mood rings, etc. But in order to be a "fad" those items had to be widely popular, even if just for a short period of time. I decided instead to write about things I remember from the late 60's and early 70's that most people will have no recollection of; obscure products that never gained enough traction to be widely or fondly remembered. Cap'n Crunch's Ship Shake This product resides so far back in my memory that when I started researching this article, I wasn't entirely sure it was a real thing. But, sure enough, Cap'n Crunch's Ship Shake was a powdered "liquid cereal" drink made from oat flour... If that's hard to get your arms around, just imagine a Slim-Fast shake with lots and lots of added sugar. It was on grocers' shelves for just a couple of years in the late 60's and came in three flavors: Chocolate, Chocolate Malt, and Butterscotch. 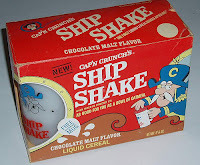 I actually remember the shaker cup with the picture of Cap'n Crunch that came with it far better than the product itself, although I do recall having an in-depth discussion with my mother in the store about the difference between chocolate and chocolate malt. Note the somewhat dubious claim that, "When mixed as directed it's as good for you as a bowl of oatmeal." Yeah, and nine out of ten doctors smoke Lucky Strikes. 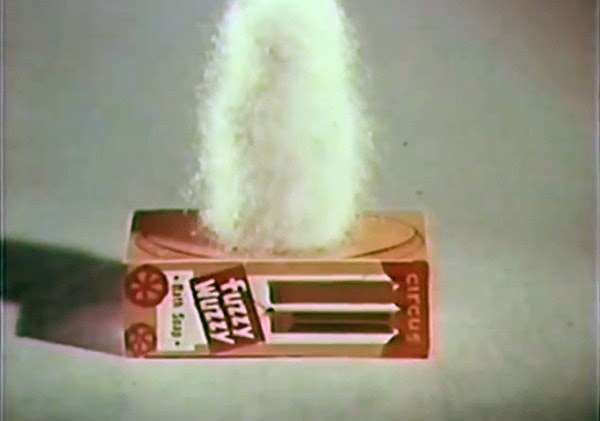 Fuzzy Wuzzy Soap At some point in the mid-60's someone somewhere thought it would be a good idea to sell soap that grew fur. Yep, fur. I recall the soap being in the shape of a bear - that's the one I had - but it turns out that several different animals were represented in the product line. They came in a circus-themed box. When exposed to air for a couple of days they grew a fuzzy layer of "fur." I'm not sure if this was a biological or chemical process, but I'm betting it was an if-given-lemons-make-lemonade response to some quality assurance nightmare involved in the production of regular soap. In retrospect, this was a fairly useless and gimmicky product. Does a 7-year-old boy think it's cool for his soap to grow fur? Of course. But it's a pretty short-lived thrill. Mexican Jumping Beans There was a five & dime (think dollar store minus inflation) on the main street in the small Ohio town where I grew up. It wasn't much, but in those days pre-Walmart it was all we had unless we wanted to make a half hour drive to the nearest "city." Every summer, on a table placed strategically near the doors, little clear plastic boxes of "jumping beans" were stacked a dozen deep and two dozen wide. 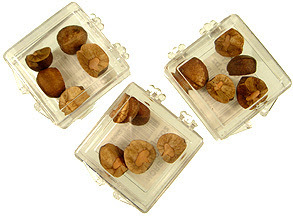 Each box contained three or four beans and they would spontaneously move around, making a clicking sound. A large display sounded like a cacophony of roulette wheels. I don't remember what they cost, but it couldn't have been much because I don't remember my mother making much of a fuss about buying them. The beans weren't really beans at all, although they did come from Mexico. They were the seed pod of a shrub that was infected with the larvae of a moth. When exposed to heat, like the sun shining through a store window in the summer, the larvae became active and moved around inside the pod. And that, my friends, was what passed for entertainment in rural Ohio in the 1960's. 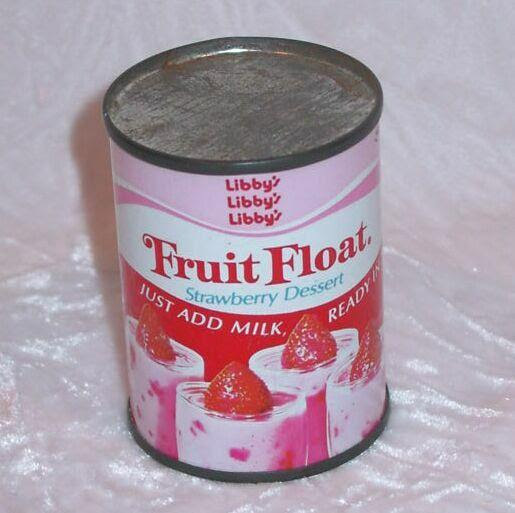 Fruit Float In the never ending quest for new desserts, Libby's came out with a canned, fruit-flavored parfait mix in 1973. It was only on the market for a year or so, and I recall us only having it a couple of times. There is some disagreement on the Internet about what flavors were available, but I remember trying the strawberry and the peach. Other flavors may have been banana, blueberry and key lime. 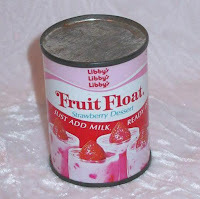 I am also a little sketchy about the exact process for making it, since my mother did the actual making and I only handled the eating, but I think you mixed the contents of the can with milk, stirred it up in a bowl, poured it into cups and let it set. The end result was a parfait that settled into 3 layers; jello-like, pudding-like and whipped-topping-like. 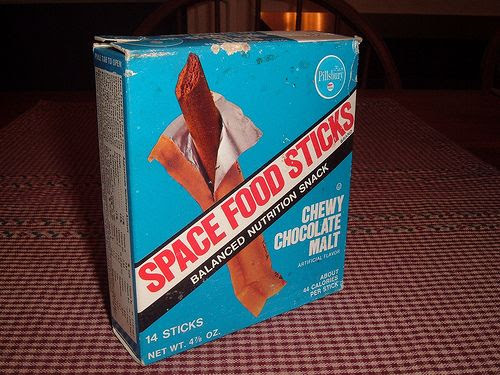 Space Food Sticks In the late 60's, space really was the final frontier. Anything related to space was cool, and that's why two godawful-tasting products, Tang and Space Food Sticks, gained a measure of popularity, especially among intrepid 7-year-olds. 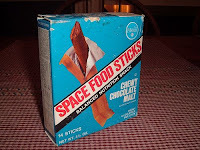 I really did eat these things and can still remember the mealy texture and cloying artificial chocolate flavor, but those were small prices to pay for eating the SAME FOOD THE ASTRONAUTS ATE. According to the manufacturer, Pillsbury, they came in six flavors, but I only remember the chocolate and the peanut putter. Certain energy bars available today have a similar consistency and taste. If you are over the age of 50, do your remember any of these? If so, what did you think of them?